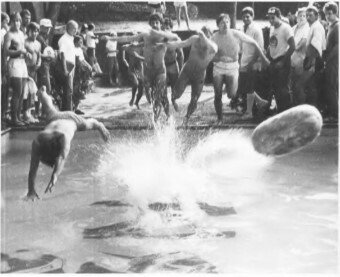 We found this photo in Georgia Tech’s 1983 yearbook with the caption “Watermelon chasers dive in the Sigma Nu pool.” Can you help us find more information about it? Who are these guys, and why are they chasing watermelons? If you have any information about this photo, please share it with us by clicking here. 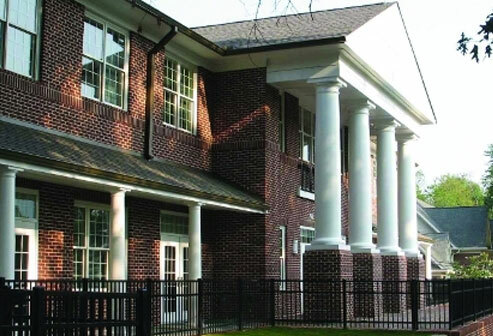 Also, be sure to share any photos you may have from your Sigma Nu days with us here.